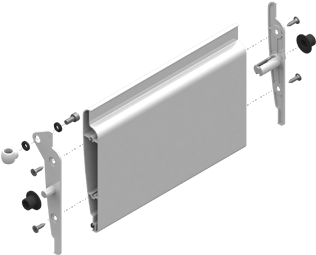 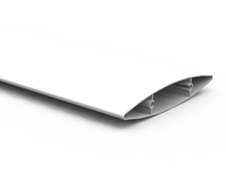 Slat developed to cover large areas on facades with curtain walls with the requirement for controlling the entry of light and preventing the entry of water or the action of the wind. 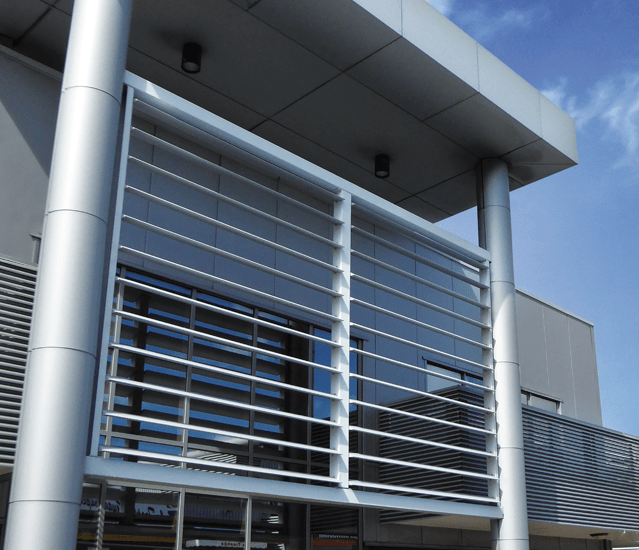 The latticework can be installed as a sunshade horizontally or vertically depending on the appearance or sunlight control requirements determined by the designer. It can be designed as fixed in a given position with fixing systems or also as mobile, driven manually or with a motor according to the requirements of the project or use.